PRODUCTS – Blinds Are Us! 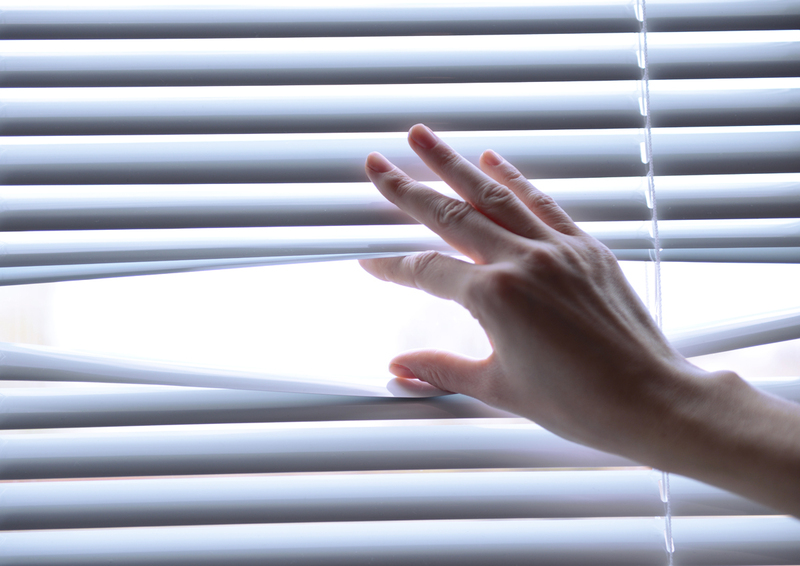 Like automobiles, blinds can be bought in price ranges from Cadillacs to Volkswagens. 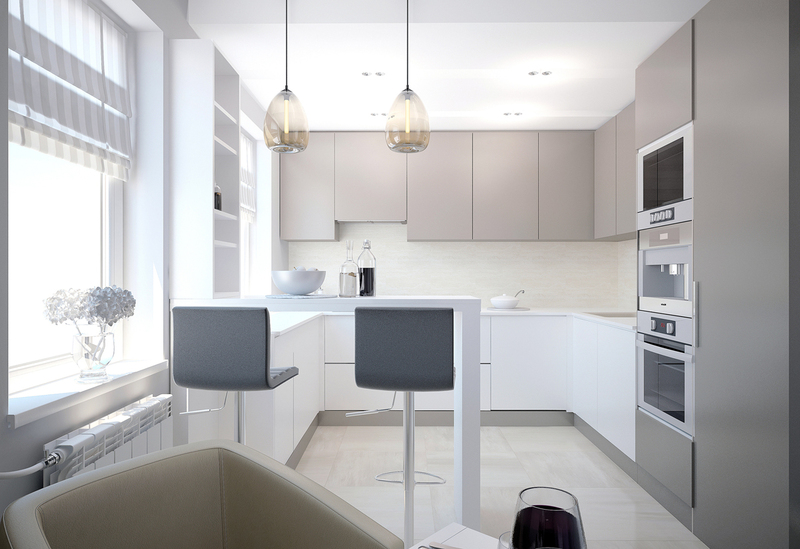 There are basically three types of what could be traditionally referred to as “mini-blinds”. These are: vinyl, 6-gauge aluminum, and 8-gauge aluminum. Vinyl are the least expensive and the most unreliable over the long term. They are sometimes referred to as “rental property blinds” and have no guarantees associated with them. The most economic aluminum blind is the 6-gauge mini-blind, and it is the ideal choice if economy is the principle factor. The better quality blinds are the 8-gauge aluminum mini-blinds; these are the Cadillac variety and always have a lifetime guarantee associated with them. Mini-blinds come in the following sizes: one-half inch, also known as the micro-blind; one inch, commonly called the mini-blind; and two inch, referred to as the macro-blind. Mini-blinds come in over 300 colors. They are an excellent choice for sun block problems, and they offer a wide range of privacy options as they tilt 180 degrees horizontally. In terms of pricing, these are the most economical interior window coverings. If you like wood, then wood blinds may be for you. They are rich-looking and come in many beautiful wood stain colors such as oak, cherry, mahogany, pine, and traditional whites. 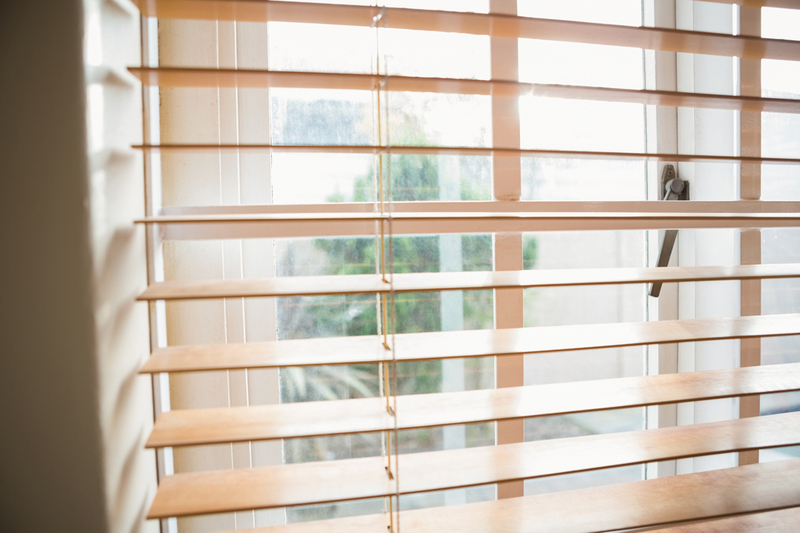 Of late there are even synthetic wood blinds, which have a high-tech plastic coating to reduce the scratchiness and warping associated with real wood. They are more economical than real wood blinds. Wood blinds come in two sizes, one-inch and two-inch vanes; however, 90% of all wood blinds are sold in the two-inch size. Wood blinds are not very conducive to raising and lowering because of their weight; they are best simply left fully extended and tilted for privacy or view as you wish. They also have a very large stack, which is another reason why they are usually left in a fully extended position. But if you love wood, they are beautiful and very popular. Cellular shades are the attempt to add energy efficiency to interior window decorating. The research shows that this attempt has succeeded; as a general rule, cellular shades will pay for themselves over ten years if used consistently against hot and cold weather. Because light is refracted several times while passing through the cellular shade, they are completely private. They also let in considerable visible light while screening out the harmful ultraviolet rays which are so damaging to carpets and furniture. Cellular shades have many nice features; for example, “top down, bottom up” allows both privacy and view at the same time. They come in a wide array of sizes from 3/8 up to 2-inch pleats. There are three basic types, commonly referred to as single cell, double cell, or triple cell. The number of cells does not affect the ultraviolet blockage very much, but it does make a difference when insulating against cold weather. They clean rather easily by vacuum. They are available in a wide range of colors and textures. If energy efficiency is a primary concern to you, then this type of blind is worth investigating. Pleated shades (commonly referred to as Verosol Blinds) were the preferred sun block soft window treatment before the advent of cellular blinds. 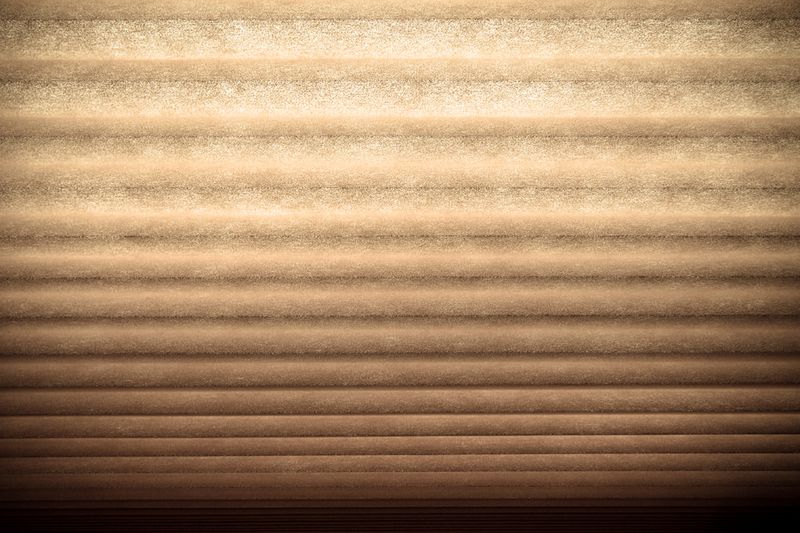 Unlike cellular blinds, they are one-dimensional fabric pleats, and the strings are visible. They come in a wide range of privacy levels, from opaque to sheer. They have a much greater selection of fabrics and textures than cellular blinds. They are very popular when solar block is the primary concern. They are very easy to clean with a vacuum and do not have the possibility of spiders making nests in them as sometimes happens with cellular blinds. They are an excellent choice if you like the traditional country look. The “top down, bottom up” option is very popular, as it allows for both privacy and view at the same time. If you like drapes, then vertical blinds may be the choice for you. They look a lot like drapes but have several unique options that drapes do not have. The vanes can be rotated 180-degrees for indirect light and privacy, and they also can be drawn back like a traditional drape. They are much easier to clean and do not have to be dry cleaned. If a tear occurs, you can simply replace a vane instead of the whole drape. They are excellent insulators against hot and cold. They come in fabric, vinyl, and fabric inserted vinyl. Beautiful valances are available as well, which offer a stunning look. The new embossed vinyl, looks so much like fabric, you have to feel it to make sure it isn’t. 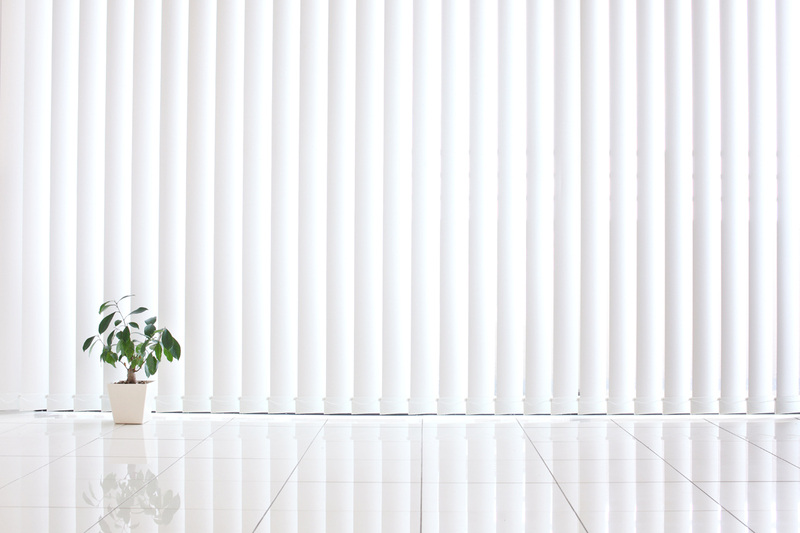 So if low maintenance is important to you, then you may want to check out vertical blinds. They are available in a wide range of colors and textures.